We squeeze juice only from fresh apples from Grojec with Protected Geographical Indication. 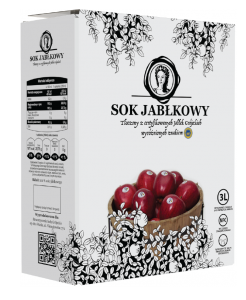 The Apples from Grojec are fruit with royal origin, which have been seduced the senses unique aroma, form and firmness for centuries. Their characteristic and unique qualities apples grójeckie owe conditions of soil and climate in these area. Their characteristic blush they hide a real secret – above-average acidity and exceptional nutritional values. Apple juice is cold pressed from respectively varieties only the highest class and gentle pasteurization allows you to preserve the valuable health benefits of fruit for a longer time.